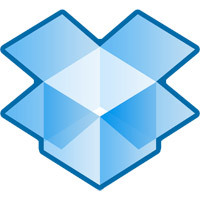 Dropbox owns your ‘stuff’ – and then they don’t. Posted July 7th, 2011 by Karl & filed under Technology. Those currently living in the UK are probably used to seeing talk of U-turns, especially those mentioned in the papers. So news of the latest U-turn by file hosting company Dropbox may not come as too much of a surprise, especially if you saw the original changes to their terms and conditions and the furore it caused. Since their original Terms and Conditions update, Dropbox have stated that they’ve never been interested in “rights broader than what we need to run Dropbox”. However, it’s obvious that this wasn’t made abundantly clear in their original Terms and Conditions. As you can see, quite a dramatic change of words. Evidently worried by the loss and anger of their customers, they’ve made it as clear as possible in their amendment of the one vital point raised by their clients – whom the ‘stuff’ belongs to.